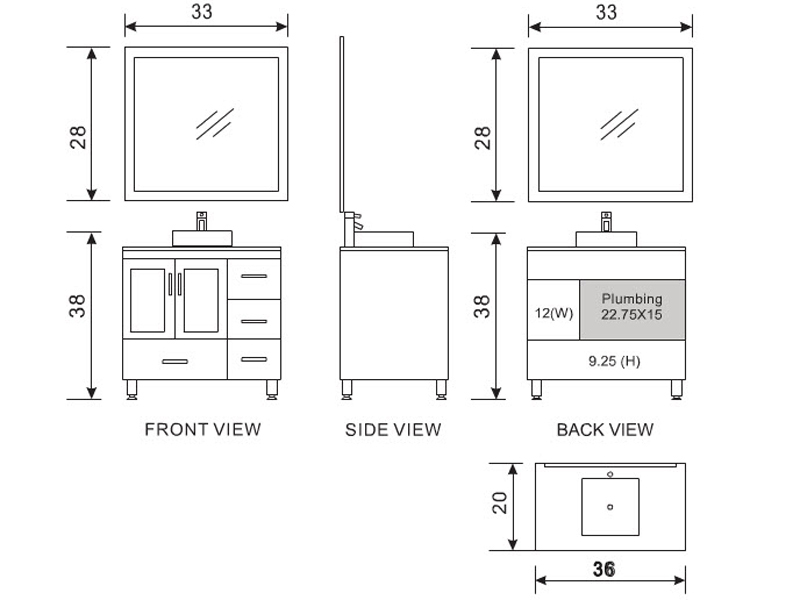 The 36" Stanton Single Vessel Sink Vanity brings you the same beautiful modern look as the original Stanton Collection, but with a sophisticated, urban appeal. 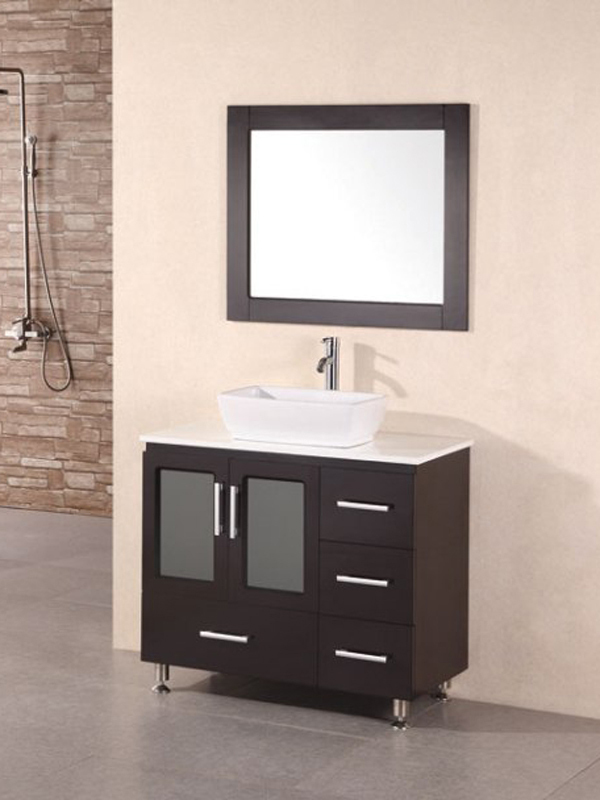 This vanity boasts a solid oak cabinet finished with a deep Espresso finish, complemented by a White Composite Stone top. Four pull-out drawers and a double-door cabinet offers storage space that is adorned with Satin Nickel hardware to give it a brilliant finish. Comes with a matching framed mirror!